No pictures found for plate number 348XWS in Wisconsin, United States. click here to add a picture. No videos found for plate number 348XWS in Wisconsin, United States. click here to add a video. No owners found for plate number 348XWS in Wisconsin, United States. click here to add an owner. 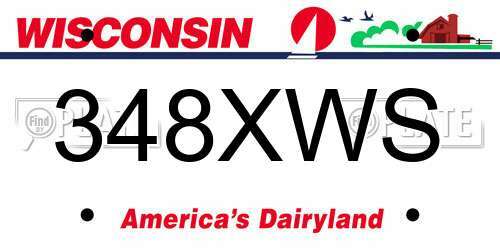 No related websites found for plate number 348XWS in Wisconsin, United States. click here to add a related website. 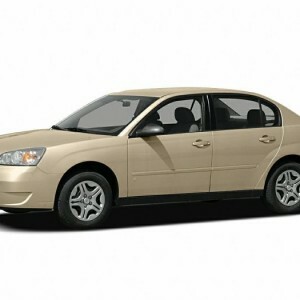 General Motors LLC (GM) is recalling certain model year 2006-2007 Chevrolet Malibu and Malibu Maxx vehicles manufactured April 1, 2006, to June 30, 2006, and 2006-2007 Pontiac G6 vehicles manufactured April 18, 2006, to June 30, 2006. In the affected vehicles, there may be a sudden loss of electric power steering (EPS) assist that could occur at any time while driving. GM will notify owners, and dealers will replace the torque sensor assembly, free of charge. The recall began February 24, 2015. Owners may contact Chevrolet customer service at 1-800-222-1020 or Pontiac customer service at 1-800-762-2737. GM's number for this recall is 14772. Note: This is an expansion of recall 14V-153 to cover additional vehicles built between April 1, 2006 and June 30, 2006. If the transmission shift cable fractures while the vehicle is being driven, the transmission gear selection may not match the indicated gear and the vehicle may move in an unintended or unexpected direction, increasing the risk of a crash. Furthermore, when the driver goes to stop and park the vehicle, despite selecting the ¿PARK¿ position, the transmission may not be in ¿PARK.¿ If the vehicle is not in the "PARK" position there is a risk the vehicle will roll away as the driver and other occupants exit the vehicle or anytime thereafter. A vehicle rollaway increases the risk of injury to exiting occupants and bystanders. TI AUTOMOTIVE IS RECALLING CERTAIN FUEL PUMPS, PART NUMBERS TU456 AND TU303, SOLD UNDER VARIOUS BRAND NAMES AS AFTERMARKET AND REPLACEMENT EQUIPMENT FOR THE MOTOR VEHICLES LISTED ABOVE. THE DEFECTIVE FUEL PUMP MAY SEIZE, STOPPING THE FUEL FLOW TO THE ENGINE CREATING A STALLING CONDITION. A VEHICLE CRASH COULD OCCUR SHOULD THE ENGINE STALL WHILE IN USE. TI AUTOMOTIVE WILL NOTIFY OWNERS OF RECORD AND WILL REPLACE ANY DEFECTIVE FUEL PUMP WITH A NEW OR REWORKED FUEL PUMP FREE OF CHARGE. THE SAFETY RECALL BEGAN ON FEBRUARY 22, 2011. OWNERS MAY CONTACT TI AUTOMOTIVE AT 1-866-867-3759 OR LOG ON TO WWW.RECALLRESPONSE.COM. THIS RECALL ONLY PERTAINS TO AFTERMARKET AND REPLACEMENT FUEL PUMPS AND HAS NO RELATION TO ANY ORIGINAL EQUIPMENT INSTALLED ON VEHICLES MANUFACTURED BY GENERAL MOTORS.OWNERS MAY ALSO CONTACT THE NATIONAL HIGHWAY TRAFFIC SAFETY ADMINISTRATION'S VEHICLE SAFETY HOTLINE AT 1-888-327-4236 (TTY 1-800-424-9153), OR GO TO <A HREF=HTTP://WWW.SAFERCAR.GOV>HTTP://WWW.SAFERCAR.GOV</A> . THIS RECALL ONLY PERTAINS TO AFTERMARKET REPLACEMENT EQUIPMENT AND HAS NO RELATION TO ANY ORIGINAL EQUIPMENT INSTALLED ON VEHICLES PRODUCED BY THE VEHICLE MANUFACTURER.IN ORDER TO DETERMINE IF YOUR AFTERMARKET LAMP ASSEMBLY IS AFFECTED BY THIS NONCOMPLIANCE, PLEASE REVIEW THE LIST OF MODEL NUMBERS PROVIDED TO US BY SABERSPORT.THE LIST CAN BE FOUND UNDER "DOCUMENT SEARCH" LOCATED AT THE BOTTOM OF YOUR SCREEN.OWNERS MAY ALSO CONTACT THE NATIONAL HIGHWAY TRAFFIC SAFETY ADMINISTRATION'S VEHICLE SAFETY HOTLINE AT 1-888-327-4236 (TTY 1-800-424-9153), OR GO TO <A HREF=HTTP://WWW.SAFERCAR.GOV>HTTP://WWW.SAFERCAR.GOV</A> .